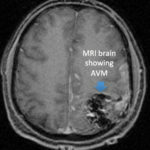 Cerebral arteriovenous malformations (AVMs) are abnormal collections of arteries and veins in the brain. They are formed before birth (congenital) and occur within the brain tissue, pushing normal brain tissue to the side. 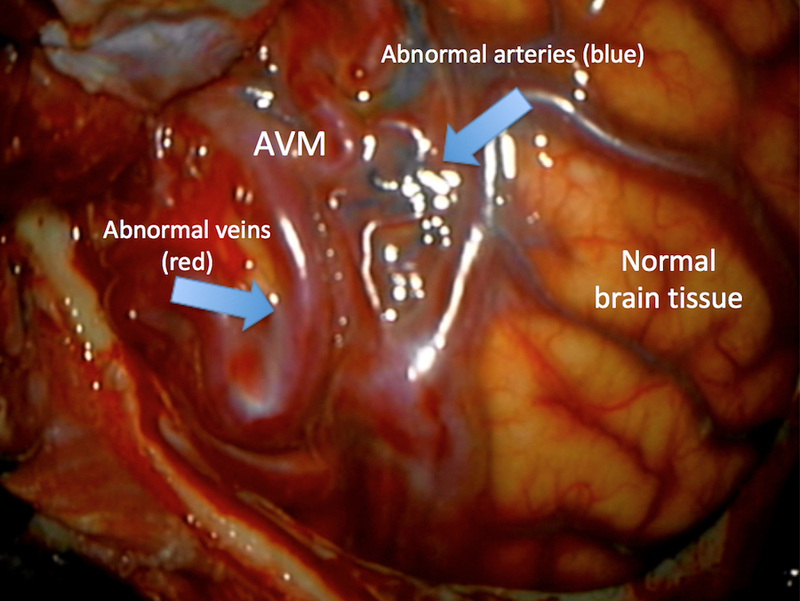 AVMs are considered vascular malformations. Other vascular malformations exist, such as cavernomas, venous angiomas or capillary telangectasias, which are different entities from AVMs. These other vascular malformations tend to have a lower bleeding risk and tend not to require treatment, with the exception of some cavernomas. 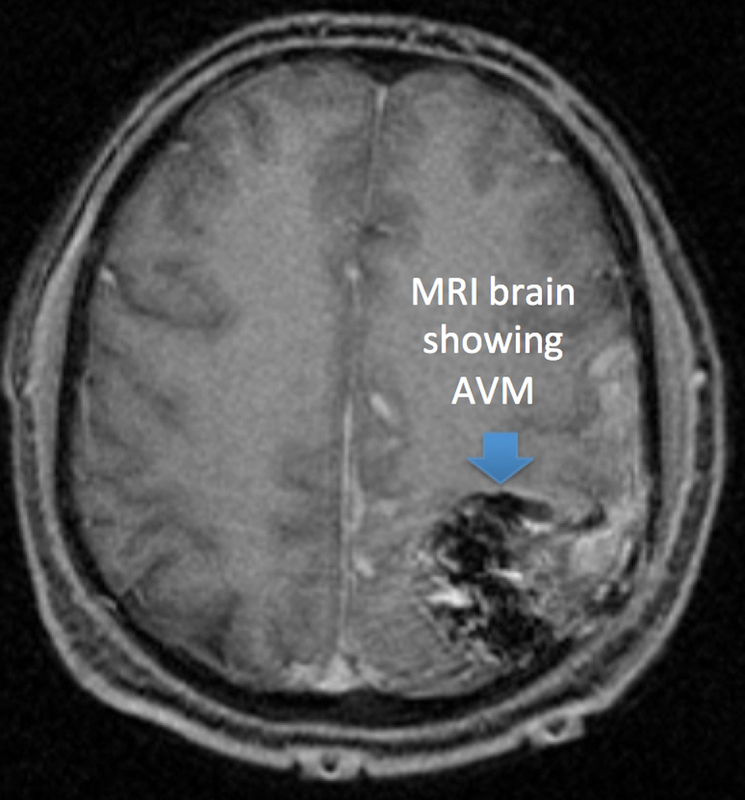 AVMs may never cause any symptoms. However, they can bleed in the brain causing significant damage. 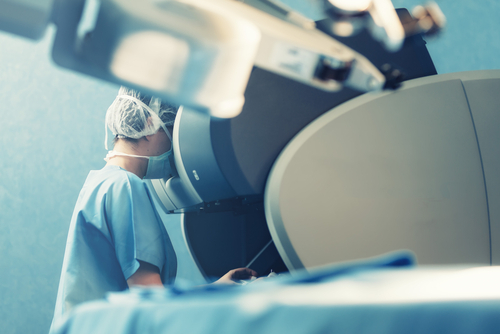 AVMs are classified with a grading system, which can predict the risk to the patient and type of treatment that may be offered. The Spetzler-Martin systems classifies the AVM based on three characteristics. 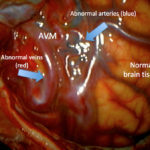 If an AVM bleeds, depending on the characteristics, treatment is sometimes offered to prevent more brain damage from additional future bleeding. 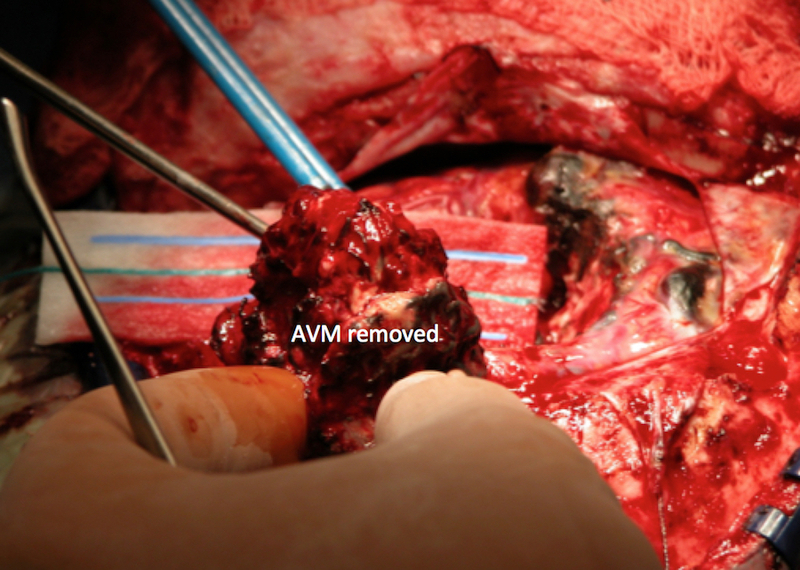 If an AVM is found before it bleeds, it may be observed or treated. 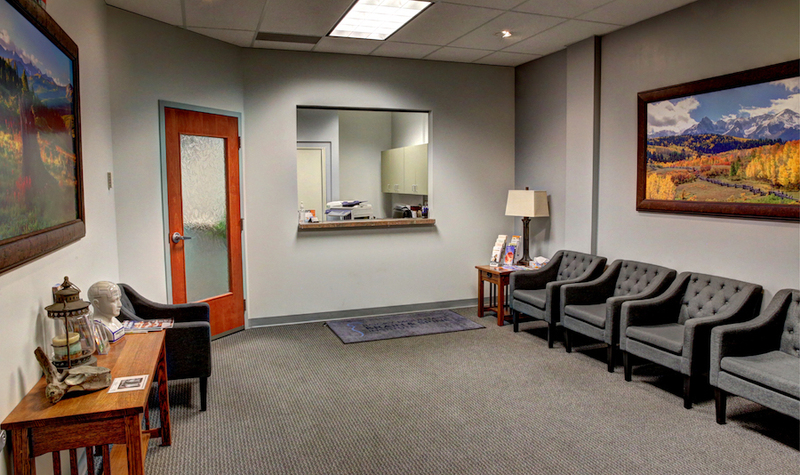 Treatment options including radiation, endovascular treatment, and/or open surgical removal. 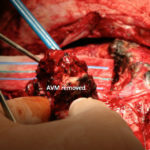 It is important to speak with a specialist if you are diagnosed with an AVM. At Rocky Mountain Brain & Spine Institute, we are one of a few neurosurgeons in the Denver region performing surgical procedures for AVMs. We are BOARD CERTIFIED. A lower grade tends to be associated with smaller risk, and a higher grade has larger risk. 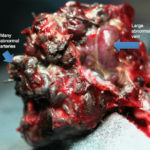 Lower grade (I & II) tend to be amenable to open surgical removal or endovascular treatment. Medium grade (III) tends to require both endovascular treatment and possibly radiation and/or open surgical removal. Higher grade (IV & V) may not be amenable to any treatment.